I made an oblique reference to this project in my post about placemaking a month or two ago, but I thought this would be a worthwhile idea for a standalone post, especially since all you eager-beaver #hesm folks are likely already thinking about orientation and freshman move-in. 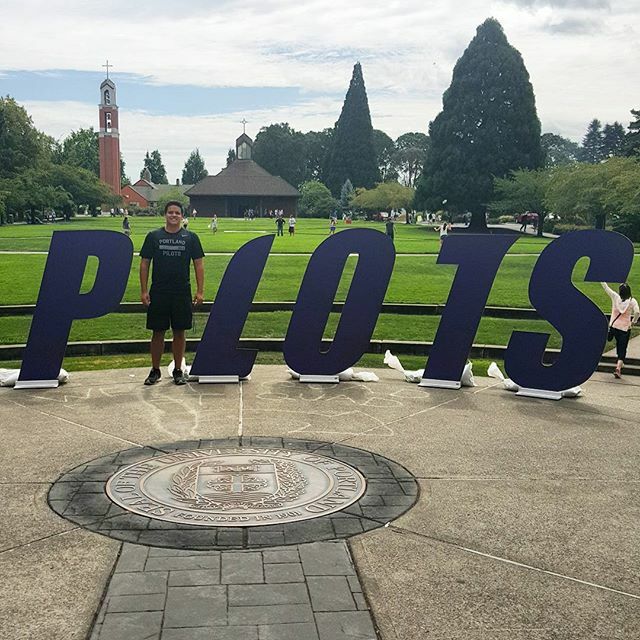 The photos are pretty self-explanatory (Pilots is the nickname for UP), but just in case it's hard to tell - we made giant P-L-O-T-S letters and let the students themselves act as the I.
I can pretty much guarantee you that if you do something similar with life-sized letters and put them up in a high-traffic, photogenic area during orientation, they will be a huge hit. We worked with a local sign company to produce them, and they weren't too expensive. We were able to partner with the athletics department to get them made, and after orientation they used the letters as a fun activity/photo-op for kids and families attending games. I do wish that we didn't have to use the italic font, but since that's the official logo there wasn't really any way around it. On its own merits, this probably won't go gangbusters when you post a photo of it from your college's Facebook page. But if you'll allow me to repeat myself from my placemaking article: Never overlook the power of creating things that people post about independently - you'll never be able to accurately track the numbers, but just think of having hundreds of people sharing their own photos and videos of the project you created. Genuine peer-to-peer marketing is the most trusted and most valuable, but it's also the most difficult to achieve because you can't force it. Either something is good enough to merit it, or it isn't. So why don't we spend more time trying to make things that are good enough?